Painting team builders are a unique way to get your team together doing something fun and creative!! We show you step by step how to complete the painting you choose, and everyone chooses if they want to follow along exactly, or not. You will be surprised by how many artists are sitting next to you on a daily basis, yet you haven't been able to see that side of them at work! 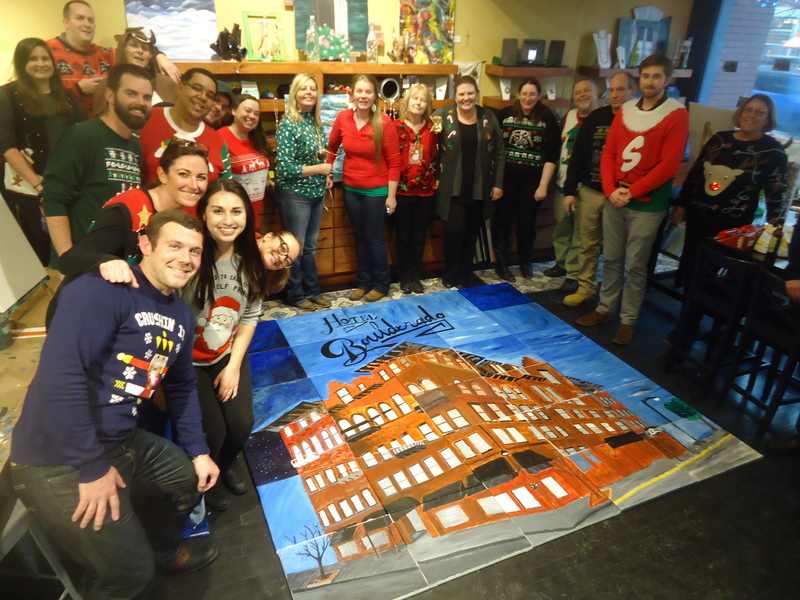 We can even create a custom painting with your business logo, or something meaningful for you, your coworkers, or employees! Or we have over 400 painting options you can choose from! With our owner being an Art Therapist, Posh is very familiar with team building and group work. We will make your team builder exactly what your team needs! We offer so many ways a team builder can work for you. 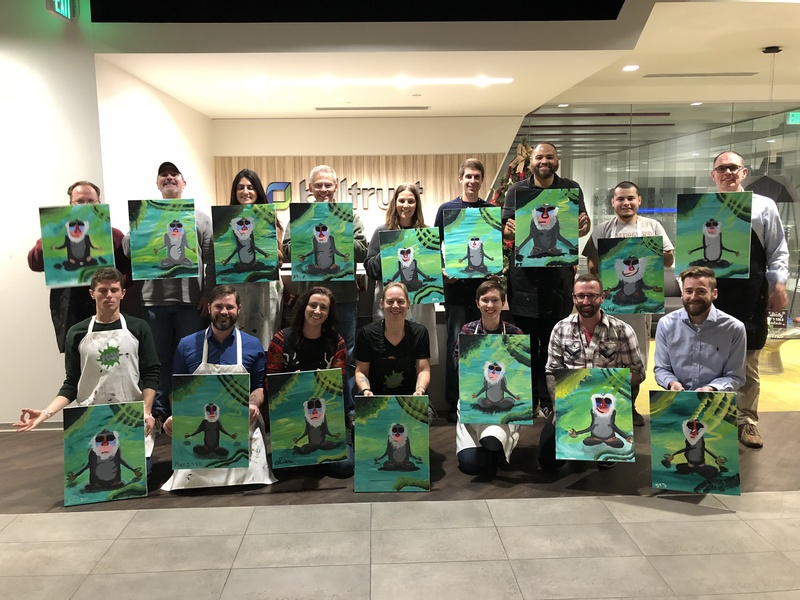 We can help you create one painting as a group that fits together like a puzzle when it is hung in the office, or each person can create a painting of their very own to take home and remember the experience. We can also switch painting every so often for a collaborative team approach! 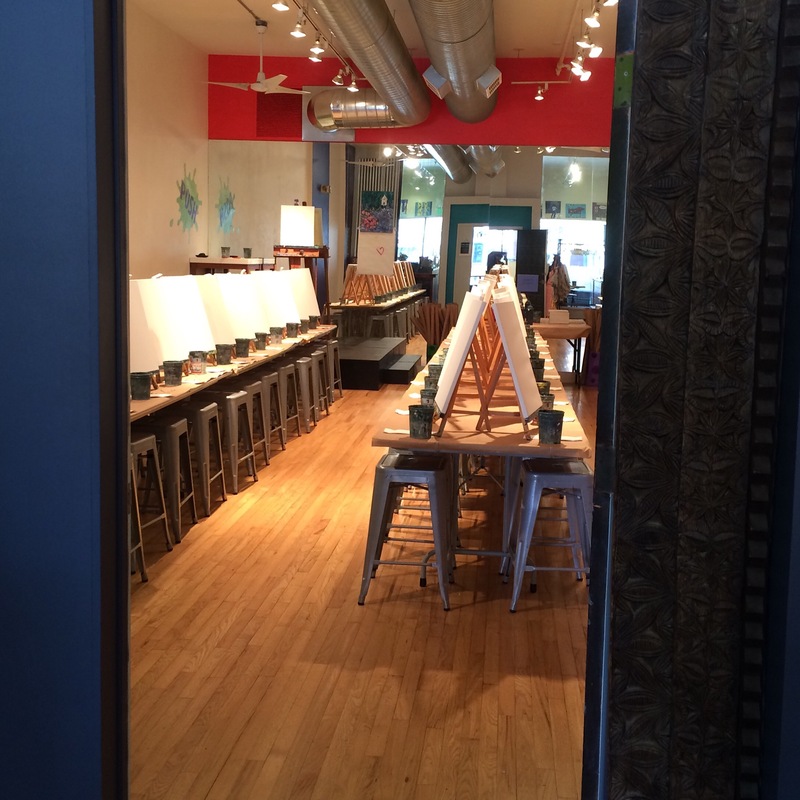 We can hold up to 50 people at one time in the private room of our studio! But, if you have more than we can fit, or want us to travel to you, we do that too! We have taught companies like Google, Medtronic, Twitter, Pandora, Billtrust, MinuteKey, Hotel Boulderado, Downtown Boulder, and so many more! Don't get left out! 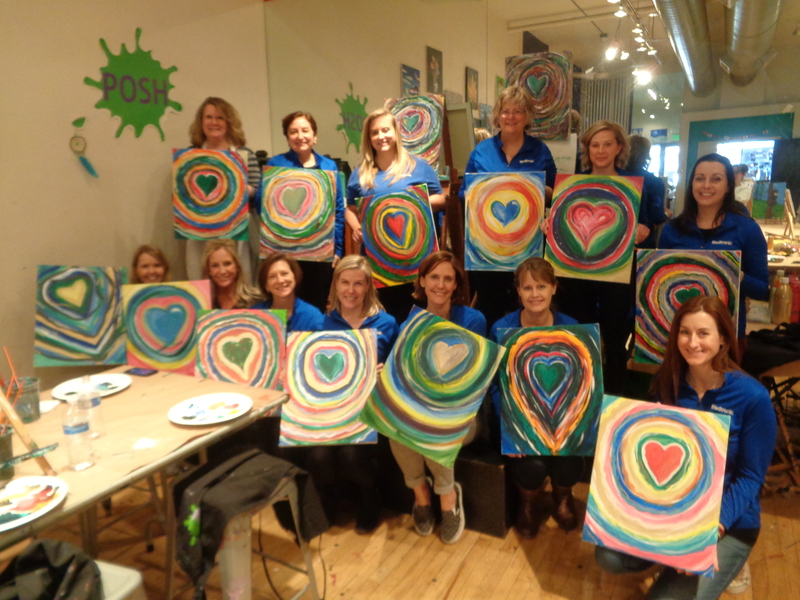 Book your team a painting party today!